Highlighting is one of my top go-to interpretive reading activities. 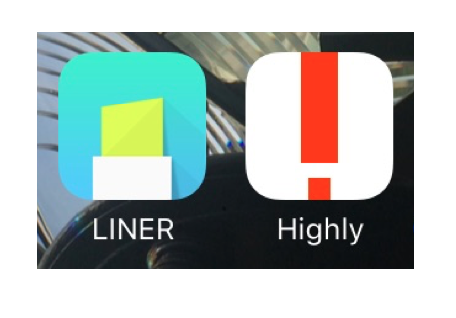 Today I will review an app for Apple devices and Chrome. Let’s see how highlighting can go digital! I blogged about this “Highlight Away” activity before… It was Idea #71 in 2012! If you haven’t read it, take a minute to see where this idea started. 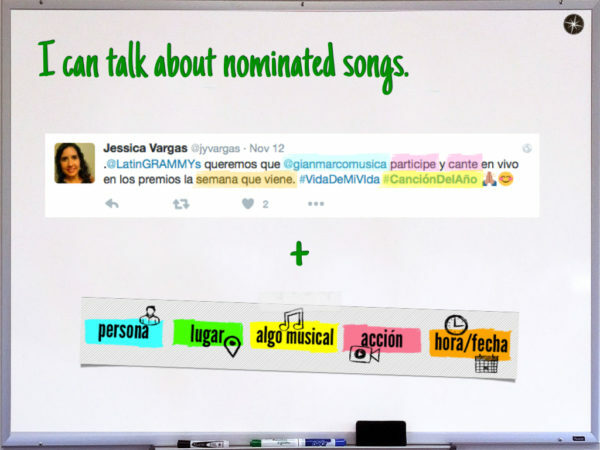 This was in a music unit where we were looking at tweets with opinions about nominated songs. Same unit, same categories. This time it was used with a longer article to later debate about the importance of music education in schools. 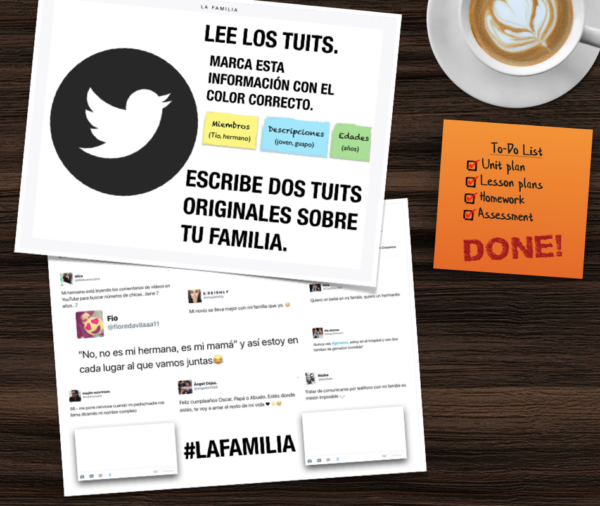 This was in the the family unit using tweets to focus on relationships, descriptions and ages before they talked about their own. We are putting units and lessons (including these examples) on www.AdiosTextbook.com for high school Spanish classes. 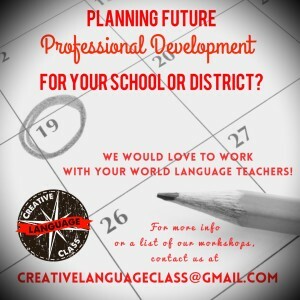 Check it out if you are looking for communicative lessons. This was in the Street Art unit. 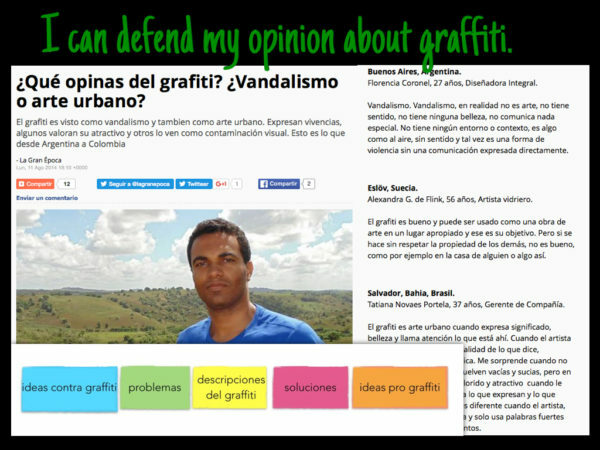 They were reading opinions about graffiti before they gave their opinion. It was awesome seeing how this activity gave them so many solid reasons that support their opinions. 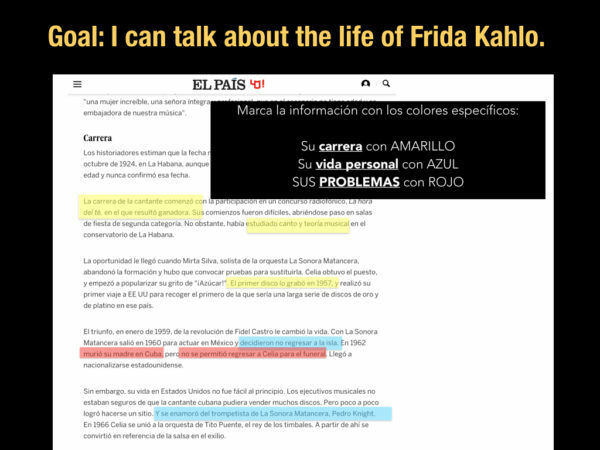 A little research to understand the background information about Frida before analyzing her artwork. 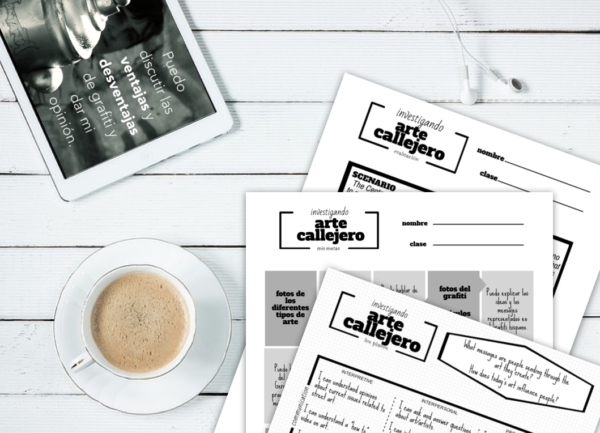 Here is a template for you to adapt and use if you are doing the activity with highlighters and printed articles. Copy and paste the image to your preferred program (Word, PowerPoint, Pages, Keynote, etc). Add text boxes over the image to create your categories. 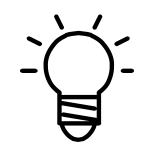 Insert the URL (website address) of what you want to highlight. It pulls the webpage into the app so you can highlight it by selecting the text, and then the color. Easy to choose the text, and then the color afterwards. Six colors. 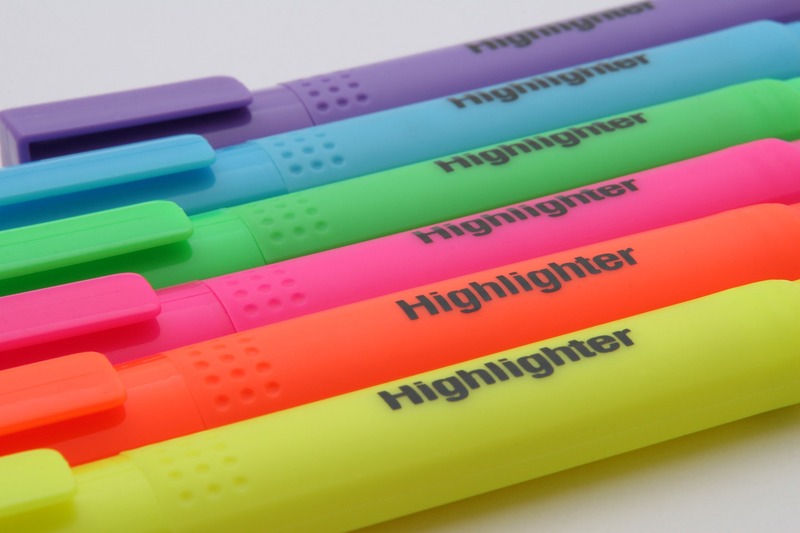 No need to buy and keep a ton highlighters in classroom or on cart. I prefer the “copy link” so they can put it on their Edmodo accounts. It does not highlight hyperlinks easily. You have to start the highlighting in the regular text, and then you can adjust it to be only in the hyperlink. Here’s an example of me using the app. 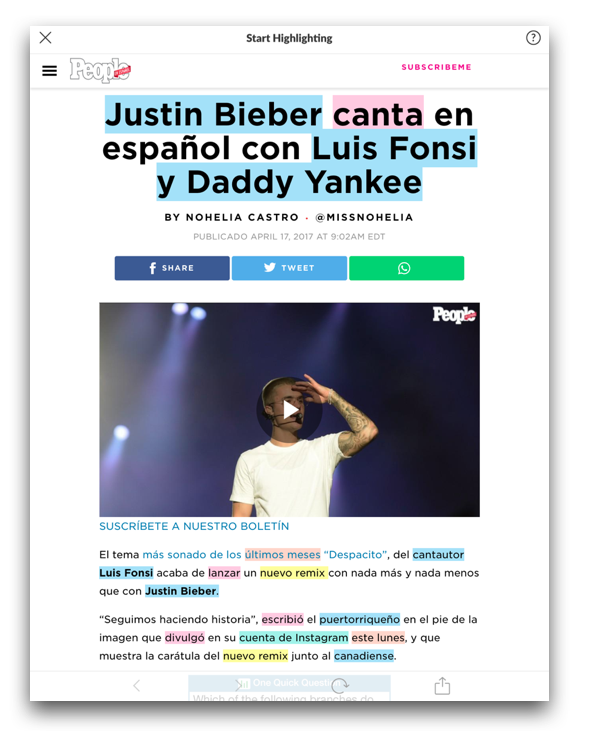 I chose an article from www.peopleenespanol.com and inserted the specific URL. I selected the text that I want to highlight, and then I can choose the color that matches the category. Now I can share my highlighted article by clicking the bottom right icon (square with arrow). Done! 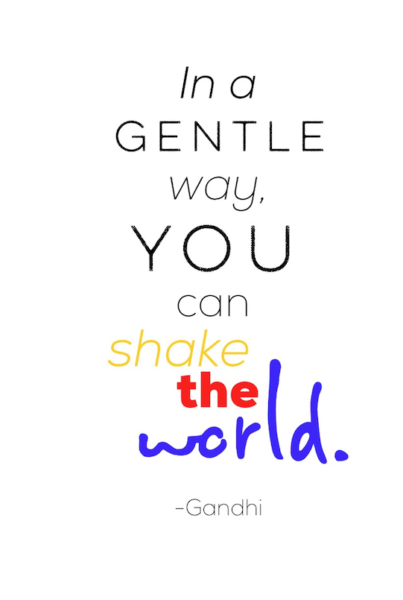 We’d love for you to share how you would modify or use this highlighting activity! 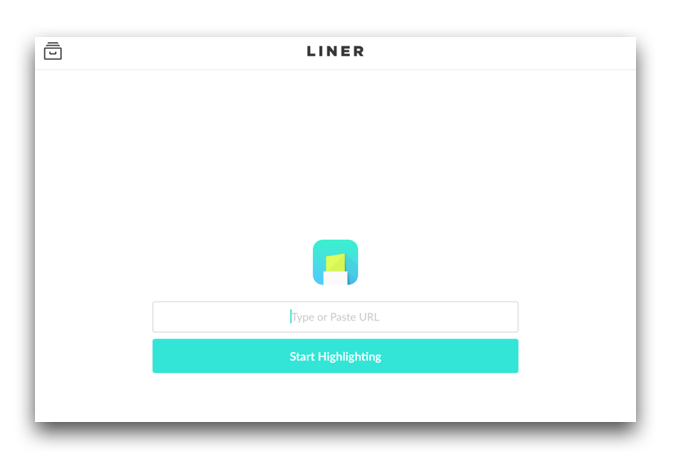 Do you know of another digital highlighting tool? https://www.gistnote.com/ Gistnote is another online highlighting that also can organize their work… but best of all the colors come with the chrome extension for free! You don’t have to upgrade to change the color! Nice! Thanks so much for sharing that Beth. Thanks Beth! I added the liner extension and was sad to discover that any color besides yellow is considered “premium”. How do you wrap up a highlighting activity? When they are done do you have them tell what they learned? I’d love to hear other ideas of what to do with it! Our school has the Read&Write extension by Google for Chrome. It has lots of great tools for accommodations, but I’ve used it most in class for the highlighting feature! It will collect the highlights into a document when you’re finished. It’s been neat to use that document for extension/wrap-up activities: summarizing, finding new words from what they highlighted, coming up with questions and seeing if they can then find the answers back in the original text, notes for another activity, etc.